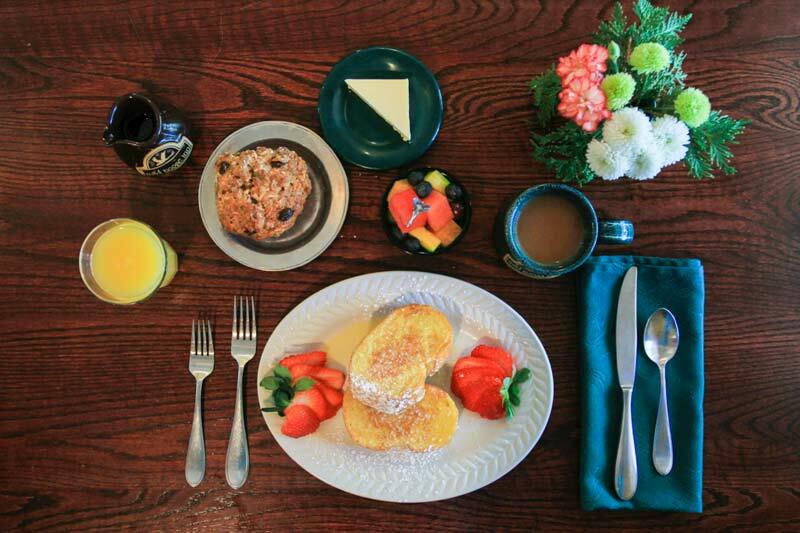 Here at the Wild Goose Inn we believe in the importance of eating a good breakfast! As you enter the dining room, the aroma of gourmet coffee and freshly baked muffins lets you know that you’ve found a place where the best meal of the day is done a little bit better. All of our guests are served up something hot and delicious every morning and each bite is intended to get you through the day, full and happy. 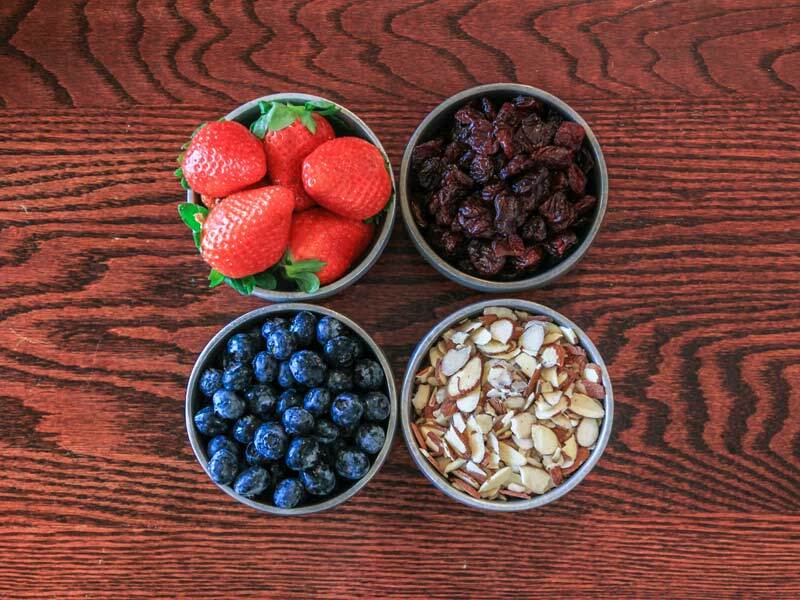 Our sumptuous breakfast starts off with coffee, tea or hot chocolate, your choice of 6 fruit juices, our signature “Wild Goose Muffin” and a fresh fruit salad. Next, a “cooked to order” hot entrée is prepared for you to give your taste buds a special morning treat. 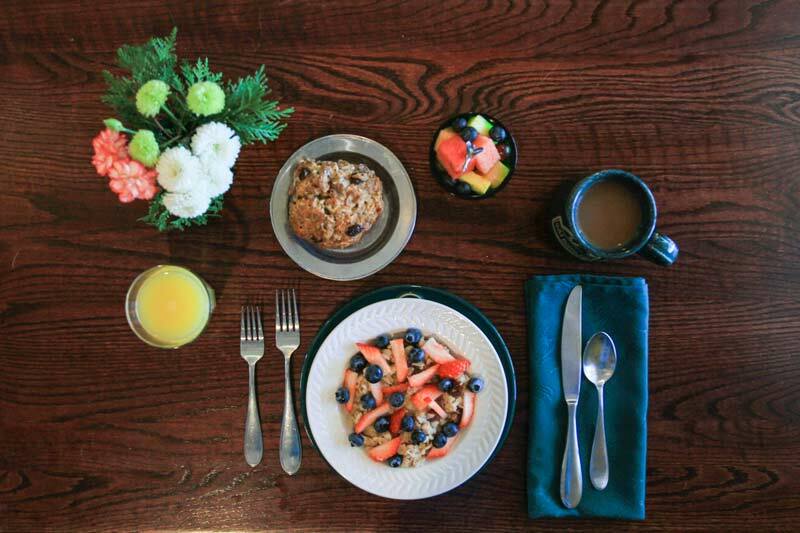 Our three course breakfast is served in the main dining room with individual table service. On occasion, if weather permits, our breakfast can be served on our courtyard patio. There’s nothing more enjoyable than taking your morning coffee and eating breakfast out-of-doors, and watching the day begin. Since all of our main entrees are cooked to order, dietary restrictions are never a problem. Please let us know of your special dietary needs when you make your reservation.